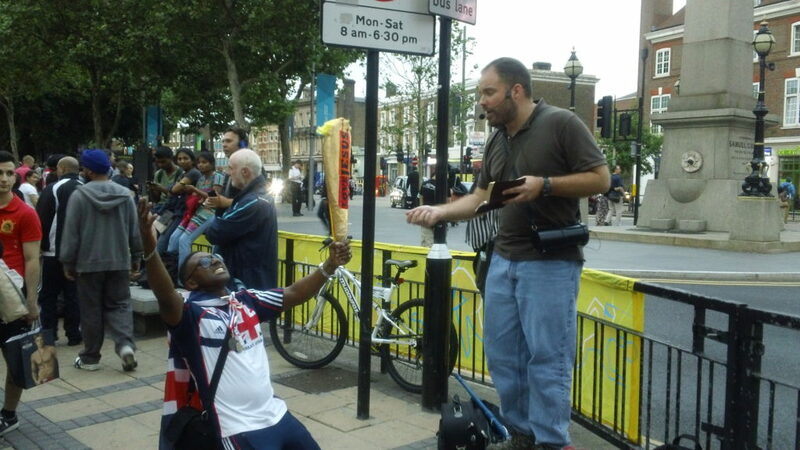 LONDON — Evangelists from around world have descended upon London, England to share the gospel of Jesus Christ during the 2012 Olympic games. The men state that many other religious groups and cults were out on the streets in full force, however. “The spirit of antichrist is alive and well here,” Edwards added. The evangelistic event, which was spearheaded by Sports Fan Outreach International, included participants from at least a dozen other Christians from countries as far away as Norway and South Africa. According to reports, the men have been preaching in some of the most historic locations in London, such as Trafalgar Square, Buckingham Palace, Shakespeare’s Theater and Metropolitan Church where Charles Spurgeon was known to have served the Body of Christ for many years. While others are in London seeking a gold medal for their sporting abilities, the evangelists state that their greatest prize is seeing lives being touched and impacted by the preaching of the gospel. “Two young skateboarding teenage girls took tracts as they passed me preaching, then turned around asking for Bibles, and following them a father and daughter returned after I finished the message to request a free Bible,” Edwards recounted. Justin Edwards witnesses to a homeless woman named Sharron. Edwards stated that he was especially impacted by an encounter that he had with a homeless woman named Sharron. He explained that at first, he approached Sharron to pet her Italian mastiff dog, but ended up finding himself giving her what appeared to be a message from the Lord. 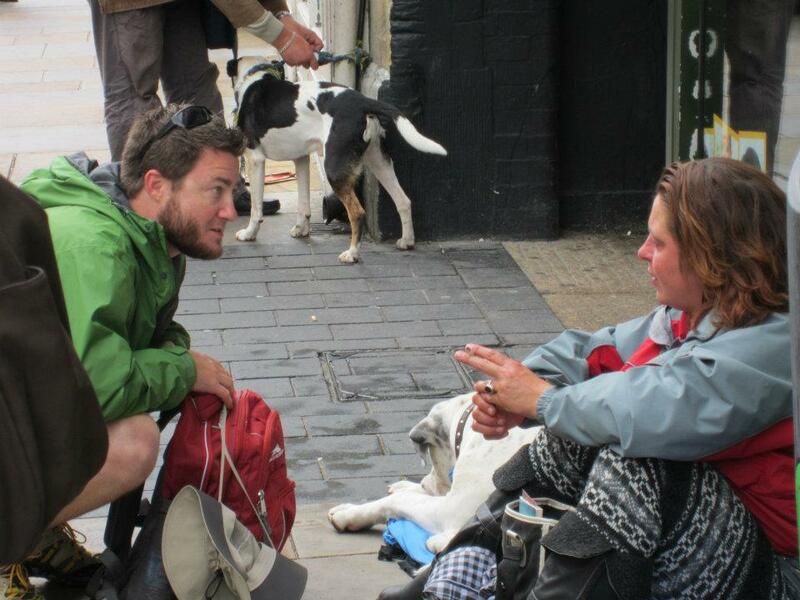 “I was pretty taken a back and amazed by the Lord’s work, and then asked to pray for her. As God alone knows the condition of Sharron’s heart, I prayed the gospel and for her salvation if she was not born again, as well as comfort and peace for Sharron as she goes through whatever trial she was going through,” Edwards said. Sharron’s story has been documented online by a videographer, in which she explains that her homelessness is a result of domestic abuse, and that she also struggles with mental illness. Her children were also removed from her custody. Sands also recalled one of his most powerful encounters after meeting a Muslim man named Omar. Evangelist Tony Miano of Santa Clarita, California has been keeping a video journal of his experiences. In one of his episodes, he described an especially memorable encounter that he had while Bobby McCreery of Atlanta, Georgia was simply reading the Bible aloud to the crowds. He explained that the men then began to share the Law and the gospel with the woman, whose name was Ann. The men state that hundreds of tracts and Bibles are being distributed to event-goers and local residents every day, in addition to preaching to the large crowds and engaging in one-on-one discussions. The Olympics, which began on July 27, will continue through August 12.